Chola Bhatura is a popular Punjabi recipe with fermented deep fried breads called Bhatura relished with spicy and mouthwatering Chole or chickpeas curry. Enjoy chola Bhatura as meal or heavy snacks with onion rings and mango pickle. 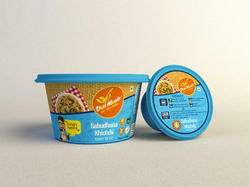 It’s a new product altogether called KHUKHDE “Khakhra+Papad ke Tukde. The irresistible taste of the product makes you wanting for more. No two bites taste the same. 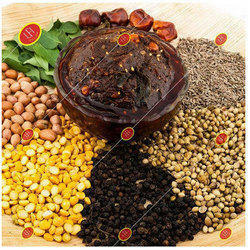 It’s a blend of collective spices which has captivity grip over your taste buds. A guilt free Snack. “ KHOLO+ KHAO= KHOJAAO. Moor milakai vathal is a very traditional and authentic dish prepared with buttermilk and rice flour. It is common in Tamil Brahmin families Goes well with Rice. Dhokla is a popular dish in the state of Gujrat. Dhokla is a great appetizer.